Amazon Web Services is envisioning a future where robots are a part of our everyday lives, whether through doing tedious household chores, distributing inventory in warehouses or inspecting high-voltage wires in dangerous environments. To support the creation of these robots, the company is introducing the AWS RoboMaker, a new developer software for developing, testing and deploying robotics applications and intelligent robotics functions. According to AWS, robots sense, compute and take action. “Robots accomplish these tasks through instructions expressed in software applications that receive and process sensor data and control actuators that create movement and action. While it sounds simple in theory, developing, testing, and deploying intelligent robotics applications is difficult, time consuming, and demands a diverse set of hard-to-acquire skills,” the company said in an announcement. For instance, robots require functions such as objection recognition, machine learning knowledge, natural language processing and autonomous movement. In addition, developers are required to configure the infrastructure and software, test the applications in multiple virtual environments and build or integrate over-the-air update systems. As part of RoboMaker, the service will extend the open-source robotics software framework ROS to AWS services in order to provide machine learning, monitoring and analytics capabilities, as well as the ability to enable robots to stream data, navigate, communicate, comprehend and learn. Features also include cloud extensions for ROS, a robotics development environment, simulations for understanding how robotics apps will work in complex and changing environments, and fleet management with robot registry, security, and fault-tolerance solutions. 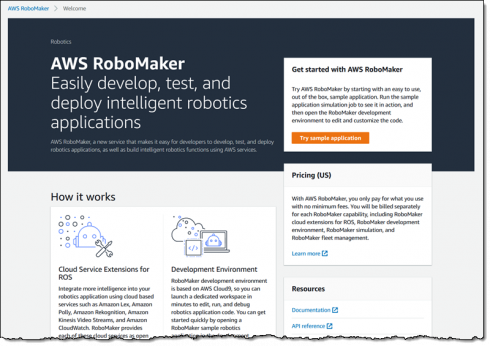 The source code as well as the documentation for AWS RoboMaker is publicly available under the Apache Software License 2.0. 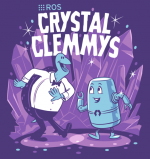 AWS will continue to contribute to the latest version of ROS and will continue as a member for the ROS 2 Technical Steering Committee.